My siblings and I would have loved a room like this. 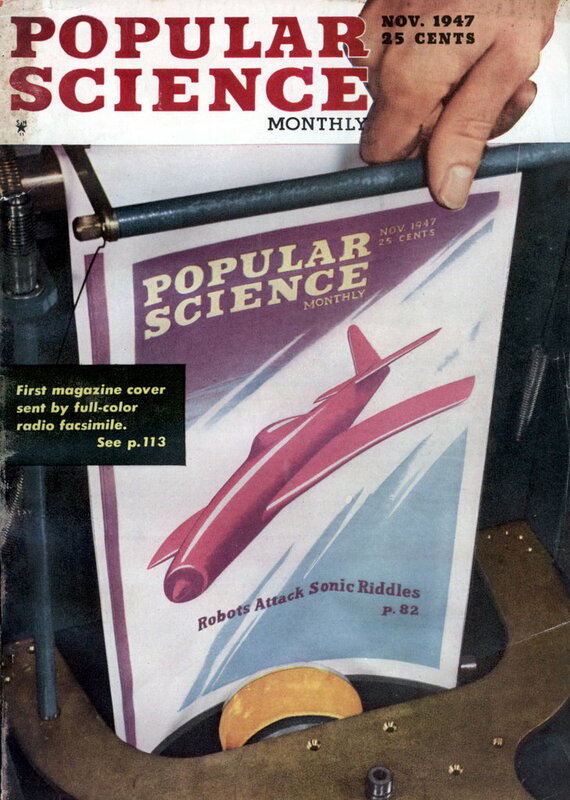 I do have a minor quibble with the characterization of a 12×18 as “minimal”. That’s bigger than any room in my house by quite a bit. 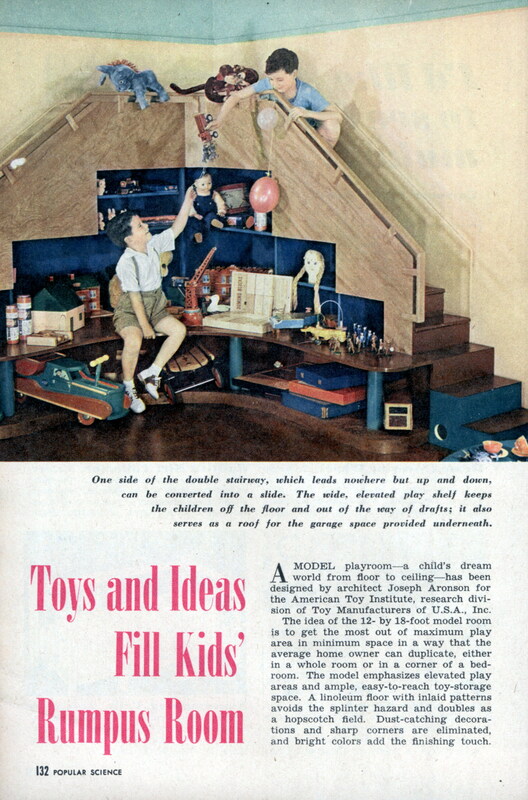 A MODEL playroomâ€”a child’s dream world from floor to ceilingâ€”has been designed by architect Joseph Aronson for the American Toy Institute, research division of Toy Manufacturers of U.S.A., Inc. The idea of the 12- by 18-foot model room is to get the most out of maximum play area in minimum space in a way that the average home owner can duplicate, either in a whole room or in a corner of a bedroom. The model emphasizes elevated play areas and ample, easy-to-reach toy-storage space. A linoleum floor with inlaid patterns avoids the splinter hazard and doubles as a hopscotch field. Dust-catching decorations and sharp corners are eliminated, and bright colors add the finishing touch.